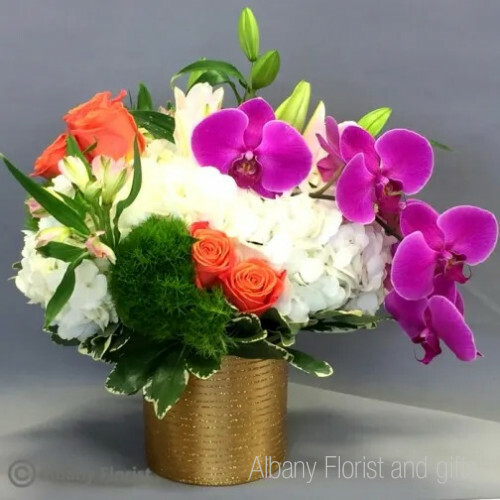 Vibrant colors of orange roses, purple orchids and fragrant white lilies designed in a golden ceramic container. Vibrant colors of orange roses, purple orchids and fragrant white lilies designed in a golden ceramic container. This design also includes premium white hydrangeas and dianthus green balls.